A communi cation expert in foreign languages discovers an assassination plot while listening to a conversation. The movie The Interpreter is a mind turning experience that will keep you on the edge of your seat. 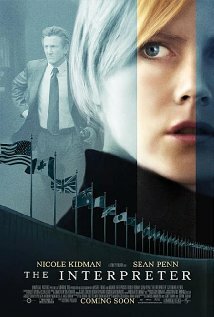 As she is on the run from an organization, a federal agent that has been assigned to protect her helps her. Although, there is a hint of mystery in the air as the interpreter may actually be an enemy. Is she? What is really going on? You will have to watch to find out for yourself. You can find more information about this film at http://www.imdb.com/title/tt0373926/?ref_=tt_rec_tt. The Interpreter will please viewers that are a fan of action and mystery. This movie gets a five out of five popcorns rating.